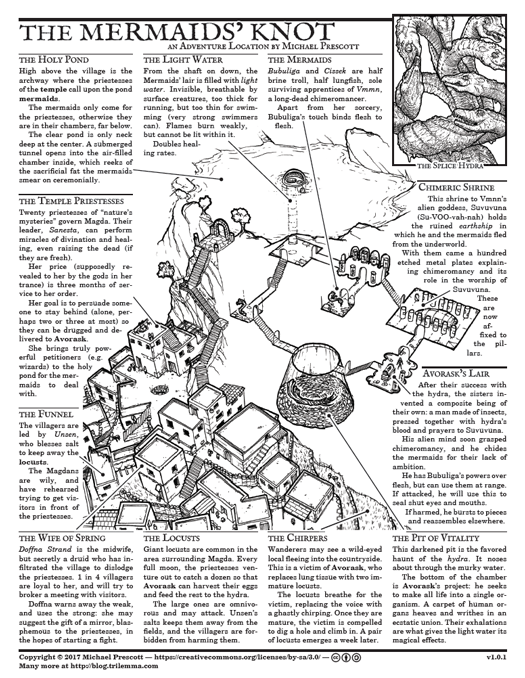 I couldn't pass up entering the one-page dungeon contest. Here's the Mermaids' Knot, one-page edition! Perfect length for reading on public transit on the way to a hasty gaming session. Does it end with the Martoi?